At Port City Roasters our passion for serving fine coffee on a daily basis, is glowingly shared with our loyal client base, with our point of difference being, the variety of blends on offer. We oversee the entire process from inspecting the farming to production and roasting, leading to the final phase of retail distribution. This inspires our team to maintain a high level of satisfaction and distinction, whilst continually striving to grow our coffee, as a major part of the In a Rush brand. The crop to cup concept is another fine example on how management implements that personal touch, when selecting the finest coffee beans the world has on offer. This involves annual group tours to coffee plantations in Costa Rica, Panama, Brazil, Peru and more to explore first hand the practices that drive coffee farmers, to cultivate high grade beans. Furthermore, our sophisticated networks within these regions, further enhances our management team’s ability to learn more and harness this, towards introducing greater caffeine products. 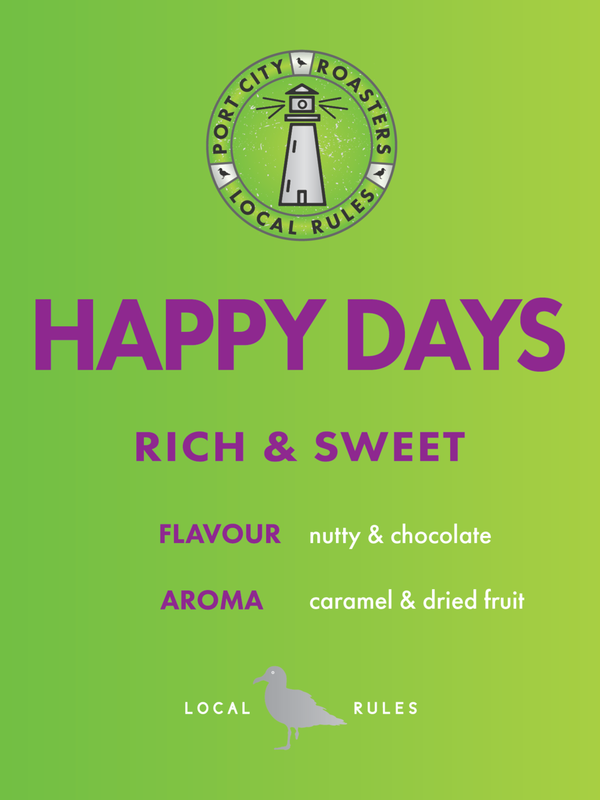 Happy days which is essentially designed as a milk blend uses a majority of Brasil guaxupe, a natural processed bean that brings nutty notes and a full bodied base. The caramelly flavors come from the Costa Rica Santa Laura and a touch of acidity and ripe sweetness by our ethiopian and Colombian beans. 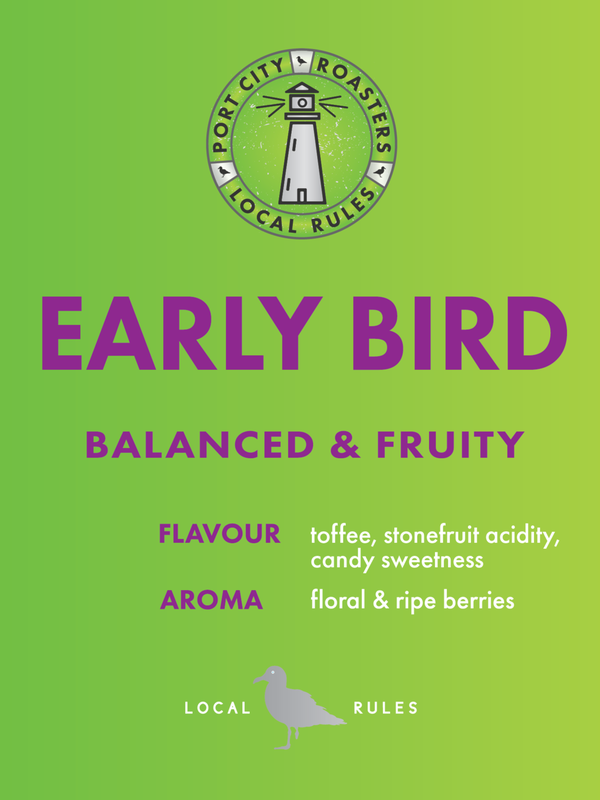 Early Bird is a beautiful balanced and fruity blend. It is versatile as it can be served black or used with milk. Colombia La Herrera drives this blend by its lovely citrus notes and bright acidity at the front. The rich berry notes of the natural ethiopian and the brasil balance the blend and bring complexity, presence and length to it. In milk it impresses with candy sweetness and strawberry notes. As an espresso or long black, it shines as a fruit bomb with lingering dark chocolate notes in the finish.